2011 has just begun with many New Year resolutions and plans as we all are hoping for a better and brighter future. If you plan to shift to some better place, this list is your guide. This list ranks 10 cities out of 221 as the “10 Best Places To Live In 2011 (Quality of Living Index)”. The cities were evaluated on 39 factors including political, economic, environmental, personal safety, health, education, transportation and other public service factors. Cities were compared to New York City which was given a base score of 100. Vienna tops the list with an index of 108.6. Sydney makes it to # 10 in our list of 10 Best Places To Live In 2011 with a Mercer score of 106.3 . The city has an average life expectancy of 80.73 years . It has a population of 4,504,469 . The city is known for tourism, entertainment and outdoor sports. Sydney has grown to become a wealthy and prosperous city, ranking as the second wealthiest city in the world in terms of per Capita purchasing power. The GDP of Switzerland is $494.6 billion . Sydney has a temperate climate with mild winters and warm winters. The city at #9 is Bern from Switzerland. Bern is the fourth most populous city of Switzerland with a population of 123,466 . Bern is a beautiful city with a rich culture and creative infrastructure. The city has a well established transportation system. The life expectancy in Bern at birth is 80.3 years . Switzerland has a stable economy with a GDP of $491.4 billion making Bern an ideal place to live. Standing at #8 is Frankfurt am Main also known as Frankfurt, the largest city in the German state of Hesse and the fifth-largest city in Germany, with a population of 672,000 . There is a tie between Frankfurt and Munich as both have a Mercer score of 107.0 . It is the business and financial center of Germany. Frankfurt is a city of contrasts with wealthy bankers, students and granola drop-outs coexisting in a city. The sky scrapers of the city give the city a beautiful modern look on a cultural background. The GDP of Germany is $3.673 trillion making Frankfurt an ideal place to move to. Life expectancy of Frankfurt at birth is 79.26 years . Munich is the capital city of Bavaria (Bayern), Germany. It is located on the River Isar, north of the Bavarian Alps. Munich has a Mercer score of 107.0 . The GDP of Germany is $3.673 trillion . Munich is a financial and publishing hub, and a frequently top-ranked destination for migration and expatriate location. Munich has a continental climate, with a strong impact due to the proximity of the Alps. City’s architecture is a mix of ethnic and cultural architecture and modern architecture. The average life expectancy of Munich at birth is 79.1 years . Again from Germany is Duesseldorf with a Mercer score of 107.2. Today’s Duesseldorf is quite different from the Duesseldorf of the past. 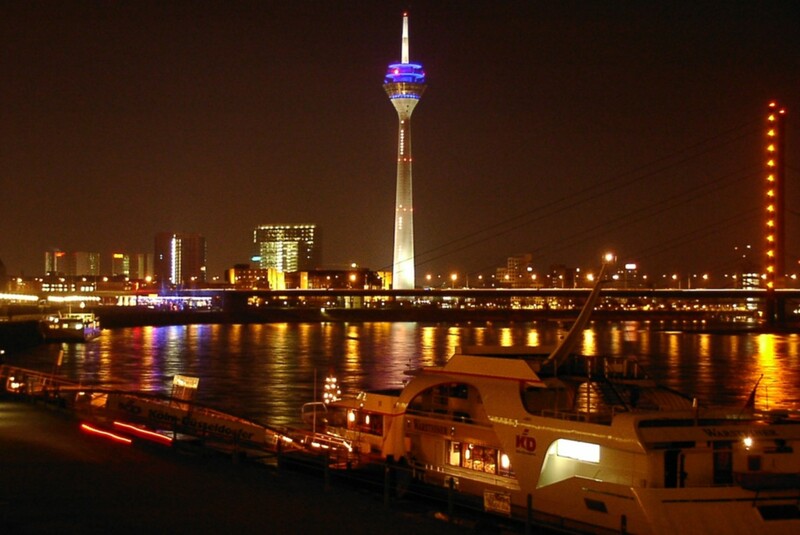 Modern day Dusseldorf is an important international business and financial center, renowned for its fashion and trade fairs. The GDP of Germany is $3.673 trillion . The city has a population of 586,217 . It has brilliant health care system and a stable political situation. I don´t know about Switzerland (where i am now) but others places are better than here, they are racist with the eu citizen and with the Treaty of Schengen. These countries are all beautiful with beautiful people. Good laws that protect citizens and keep out criminals, excellent services and high quality of living. Bravo to the Germans. Job well done! And without billions of dollars in aid from other countries! A true role model for other nations. Maybe I am the only AUSTRIAN around. VIENNA!!!!! Problem is that I left the city 15 years ago, never came to terms with that. But it is a beautiful city, the only danger – it is too beautiful – you will get charmed away. May I ask why Norway isn’t at top 3 ? I live in Vienna now. Amazing transportation system, the lowest unemployment rate in Europe 3%, beatiful. I wouldnt say that people look happy here, to me canadians are happier. And as for their policy concerning the immigration it is horrible to get a permission to work here (even though i lived and studied here) if you are not from the EU. Conclusion: nice, clean, very comfortable, taking care of the inhabitants, excellent labour market, comfortable but legally very unfriendly to foreigners. Even German laws are less strickt. At least on this list they published a correct picture fore Bern, Switzerland. This time Geneva got the Castle of Chillon, which is neither close to Berne not to Geneva really. I wonder why Basel, Switzerland didn’t make it on the list. Not that much different from Berne or Zurich. I am living in switzerland for five years. The country is boring, the people are not really kind. It’s a safe country yet, but the criminality is growing every year. It’s typical for switzerland showing always just a nice side. The wetter is really bad. Cold winter and the summer is short and rainny. I am sure i won’t stay here for the rest of my life. I would prefer Vancouver or Sydney. Quality of living has no value unless tolerance is taken into consideration. What’s the point of being in beautiful surroundings, and yet the people are cold and unfriendly. The entire list needs to be changed. Swiss citizen, grew up there- beautiful but the weather isn’t the best – why did nobody choose Hawaii where I live now – for already 17 years – unreal climate and safe! Having lived in Geneva I am not surprised. The best place to live, beautiful, clean and safe. Btw, Chateau de Chillion is not that far from Geneva. One of my favorite places to visit.